I picked up Battlefield Hardline from the Origin Store when it was on sale for $5. I originally played the beta on the Playstation 4 and wasn’t that impressed with the game. I was still playing Battlefield 4 at the time and it was an awesome game. I have since been really impressed with Hardline. 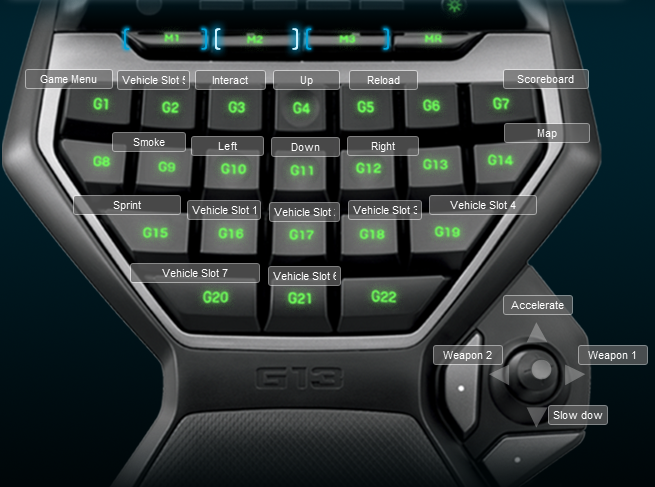 It is like the typical Battlefield, so much so that I just copied my Logitech G13 profile for Battlefield 4 and made only 2 changes. The game has enough unique game play styles that I really enjoy it. Blood money has to be my favorite game type. The fighting over grabbing cash and the excitement of stealing the enemies money or running back to your vault is great fun. Sadly there are not a lot of server for the game so you might have to wait to play. I even have the same M2 layout for vehicles. 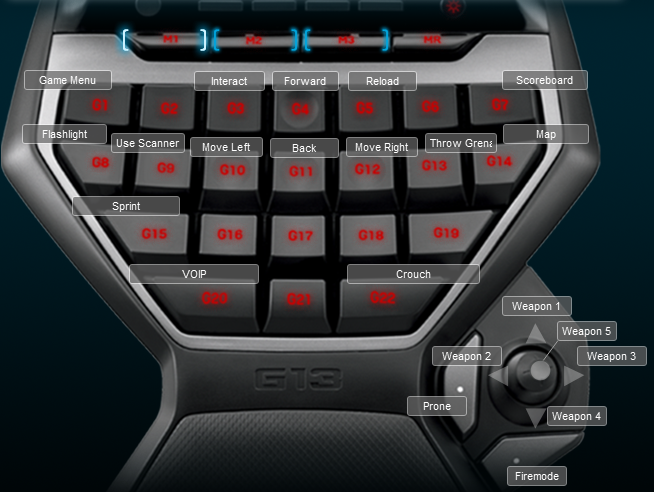 Below is a screenshot of the M1 keyboard layout.